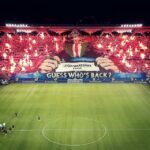 Legia Warsaw supporters opened this season’s Champions League campaign — the club’s first in 21 years—with an spine-tingling display that exemplified the very best of the competition’s atmosphere. That same night, they went on to exemplify the very worst fan behavior, fighting opposing supporters and dousing stewards with teargas. Borussia Dortmund beat Legia 6–0 that night and the home fans were punished with a complete stadium ban for Real Madrid’s visit. And in a ground completely devoid of any atmosphere whatsoever, Legia earned their first point of the group stage with a 3–3 draw against the current holders. Clearly the absence of any fans whatsoever was the key to Legia’s unexpected success. Real Madrid seemed to be on the path to giving Legia another 6–0 drubbing when Gareth Bale opened the scoring 56 seconds into the match with a gorgeous half volley. Karim Benzema gave Real Madrid a 2–0 in the 35th minute, but Legia struck back in the 40th with a goal from Vadis Odjidja-Ofoe and equalized in the 58th minute thanks to Miroslav Radovic. In the 83rd minute, Thibault Moulin gave Legia a shocking 3–2 lead, but Mateo Kovacic saved the Spanish club from total embarrassment with a final equalizer in the 85th minute. Real Madrid beat Legia 5–1 at the Bernabeu just two weeks ago and though they played the return fixture without Luka Modric or Casemiro, they really should have made easy work of their hosts once again. But without the haters that fuel Cristiano Ronaldo or any crowd energy at all, Real Madrid were lulled into complacency by the deafening silence that smothered and extinguished the adrenaline fueled desire that usually accompanies European nights. “It was a strange game, especially with the stadium. That’s no excuse, though,” the forward told Spanish TV, reports UEFA’s official website. “We’re not happy with the result and we need to bounce back from the result. On this evidence, clubs should voluntarily play in empty stadiums as a means of psyching out their opponents. 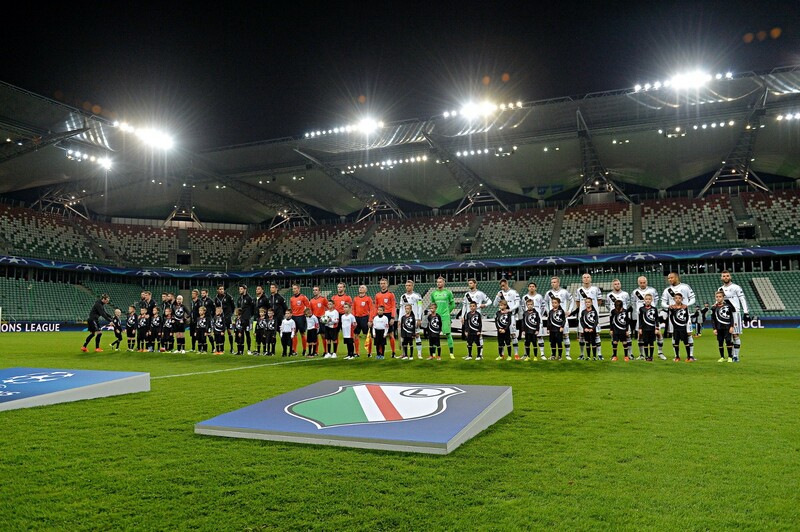 If Legia Warsaw had played all of their home Champions League matches in an empty stadium, they wouldn’t have had all that violence and could be leading the group right now. In fact, completely banning all fans from ever attending any football matches again could solve all of the game’s problems. The decrease in revenue would help keep the exorbitant wages in check, struggling teams wouldn’t have jeers in their home grounds to further deplete morale, there wouldn’t be anymore fears of mob violence, racism, homophobia, or sexism from the stands, and think of all the money clubs and taxpayers would save on policing and costly stadium expansions. It makes perfect sense.